Dr. Tolin is the Founder and Director of the Anxiety Disorders Center at the Institute of Living, and an Adjunct Professor of Psychiatry at Yale University School of Medicine. He was the 2014 President of the Clinical Psychology Division of the American Psychological Association, and a principal investigator for the National Institutes of Health. He received the Award for Lifetime Contribution to Psychology from the Connecticut Psychological Association. Dr. Tolin is the author of over 150 scientific journal articles, as well as the books Doing CBT: A Comprehensive Guide to Working with Behaviors, Thoughts, and Emotions, Buried in Treasures: Help for Compulsive Acquiring, Saving, and Hoarding and Face Your Fears: A Proven Plan to Beat Anxiety, Panic, Phobias, and Obsessions. Dr. Tolin has been featured on the reality TV series Hoarders, The OCD Project, and My Shopping Addiction, and has been a recurrent guest on The Oprah Winfrey Show, The Dr. Oz Show, and Anderson Live! In addition to his clinic at The Institute of Living in Hartford, Dr. Tolin maintains a private practice in Avon, CT. The practice specializes in time-limited, solution-focused, evidence-based cognitive-behavioral therapy (CBT). Dr. Tolin was the first psychologist featured on the A&E series Hoarders. An internationally-recognized expert in hoarding disorder, he continues to appear on the program periodically. Dr. Tolin was the host of the 2010 VH1 series The OCD Project, which documented his treatment of six patients suffering from obsessive-compulsive disorder over three weeks. Dr. Tolin was co-host of the 2012 Oxygen series My Shopping Addiction, in which he treated patients with compulsive buying behaviors. Dr. Tolin is a highly sought-after speaker for professional groups, community agencies, and consumer groups. Dr. Tolin consistently draws high attendance and receives excellent training reviews. A rare combination in a trainer, Dr. Tolin is both entertaining and expertly informed. His presentations are organized, easy to understand and engaging. Attendees leave with a thorough understanding of the topic and valuable take-away skills to enhance their clinical practice. Dr. Tolin has a gift of being able to present difficult and in-depth material in a down-to-earth manner that makes it interesting and easily understandable. We look forward to the opportunity to have Dr. Tolin speak for us again! Dr. Tolin is a dynamic speaker on the subject of hoarding, inspiring clinicians to a call to action. A masterwork of CBT for the next generation... This book is a "must read" for every clinician, student, and professional who wants to deliver excellent CBT. Written with clarity, humor and free of pretension. I love this book... To say it's a game-changer is an understatement. I have taught a graduate course in our clinical psychology doctoral program for 16 years... and I have never found a text that works. This book, however, is the one I have always wanted. It is practical yet rich with evidence and science, full of humor yet rigorous and richly detailed. …on its way to becoming a classic text in the field… “Doing CBT” is an excellent “go to” resource for professional practice, consultation and graduate level training. 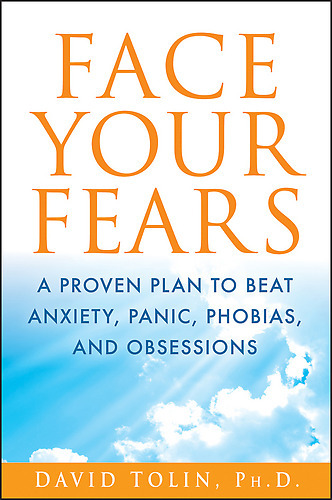 If you suffer from problems with panic, anxiety, or phobias, look no further—this is the book for you. Filled with powerful, clear, and evidence-based strategies to alleviate fear and enhance life satisfaction, this book will change lives. 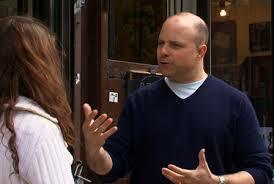 Dr. David Tolin is a master at helping people understand why they are afraid and helping them overcome the problem. Buried in Treasures is one of the few books I regularly recommend to clients and other professionals searching for clear, accurate and practical information on hoarders and hoarding behavior. David Tolin and his colleagues distill the latest research and apply a very human touch in this excellent reference. There are a fair number of self-help books out there on aspects of OCD. Buried in Treasures is among the best of them. People with a hoarding problem should definitely find value in this book. It also belongs on the shelf of many mental health providers because whatever population one is working with will have its share of individuals with this problem. The world's leading experts... have presented their proven, step-by-step treatment in a practical, easy-to-understand format that will be useful to anyone who hoards, as well as any professional who treats this problem. If you are looking for ways to clear your clutter, you need to read this book now! 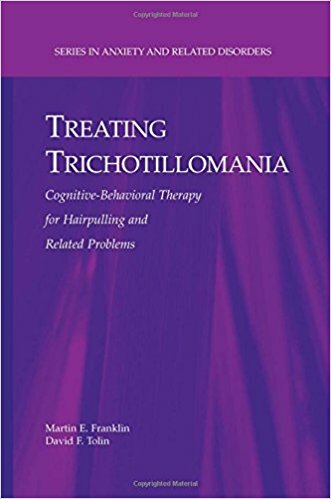 Treating Trichotillomania... is concise, well written, empirically grounded, and richly filled with clinical examples and samples of patient-therapist dialogue that clearly illustrate the various techniques... this book is essential reading for all clinicians involved in the treatment of TTM. A powerful addition... Psychologists and other mental health professionals will find this valuable for their practice. Graduate students will benefit from the advanced knowledge and overall understanding of trichotillomania... This is one of the best books available on trichotillomania, and clinicians are strongly urged to have this invaluable reference on their shelves. Comprised of a therapist manual and client workbook, CBT for Hoarding Disorder guides group leaders through a comprehensive CBT group program for patients struggling with hoarding disorder. Filling the need created by the inclusion of hoarding disorder (HD) as its own diagnosis in the DSM-5, this program—which was created by a group of four clinical psychologists experienced in research and treatment of problematic hoarding behavior—prioritizes experiential learning, repeated practice, skills building, and real-world discarding progress. The therapist manual provides step-by-step, evidence-based guidance for treating hoarding with a focus on proven methods for behavior change rather than complex cognitive interventions. It contains the latest research on hoarding disorder and emphasizes the cognitive, emotional, and motivational factors involved in discarding and decision-making. The client workbook features accessible, straightforward content, including coping cards that summarize key lessons, homework assignments, motivational tools, and practice exercises for decision-making and emotion regulation skills. Easy to implement without home visits, this is a cutting-edge treatment program for professionals and group leaders of all educational backgrounds treating problematic hoarding behavior across a wide variety of treatment settings and disciplines. Please note: Dr. Tolin cannot provide online counseling or referrals to mental health professionals. You may use this form to inquire about making an appointment in Dr. Tolin's Private Practice, to schedule speaking engagements, or other inquiries. To make an appointment in Dr. Tolin's clinic at the Institute of Living, click here. To find help elsewhere, see the "getting help" links on this page.